As many couples are becoming budget conscious, self-planning wedding receptions has become a widespread occurrence. Having a wedding reception that is memorable and works without a hitch isn’t an unobtainable feat. A wedding can be one of the most important events within a lifetime, knowing that a self-planned wedding reception proved to be a successful end to that day can be very rewarding. Since the most common reason for self-planning a wedding reception is to keep costs within control, creating, and sticking to, a budget is of the utmost importance. Budgets will cover a wide variety and services that can be essential and secondary. By prioritizing these items into a budget, determinations can be made about how necessary they are. Creating a checklist while planning a wedding reception ensures that you know in advance what items or services will be needed while maintaining a budgeted amount of money. Your wedding reception checklist should center around key items, such as flowers, centerpieces, entertainment, photographers, catering and the all-important wedding cake. Checklists are essential to ensuring stressful situations are controlled and essential items aren’t forgotten on the big day. 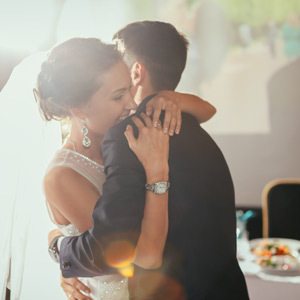 When a date has finally been set for the wedding and wedding reception, it is important to book your ideal venues as soon as possible to guarantee availability. In most instances, couples will book their reception site a year to nine months prior to the wedding. Weddings during seasons like summer and fall have become popular, so flexibility with a venue choice may be necessary. If you are currently looking for a venue to hold your wedding reception, Stokely Event Center can make sure your special day is unforgettable. Guests to your reception will love the free-to-play games and wide assortment of decorative signs. With the flexibility of catering in outside food and drinks, reception menus can fit a variety of preferences. Our sound system, projector and screen are included for one great price. If you are interested in reserving Stokely Event Center, please call us at 918-600-4448 or complete our online request form. We can’t wait to be part of your special day!